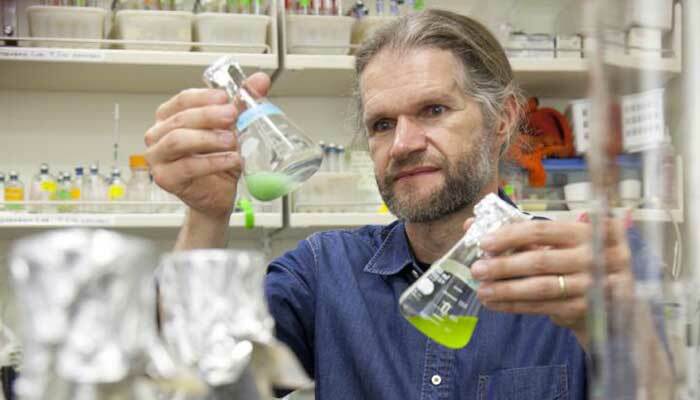 Portland State biologist Ken Stedman has received a $540,000 grant from NASA to study the evolution of viruses, which may shed light on how viruses form, adapt and infect hosts. The study stems from a bizarre virus Stedman discovered in a hot spring at Lassen Volcanic National Park five years ago. The virus’s genetic code is derived from both DNA and its evolutionary predecessor, RNA. The vast majority of life on Earth switched its genetic code from RNA to DNA about four billion years ago, so the fact that this virus has both is highly unusual, according to Stedman. Studying the hybrid virus may show that viruses themselves paved the way for genetic evolution eons ago. It may also show how viruses remain one of the most adaptable and resilient lifeforms on Earth. The NASA grant will fund a team of researchers to look into nature of the hybrid virus and how – and whom – it infects. “This research seeks to further our fundamental understanding of evolution and the biochemical processes that drive it,” Stedman said. Stedman is co-founder of PSU’s Center for Life in Extreme Environments, which explores the origins and physical and chemical boundaries of life. His article about a different aspect of viruses – their ability to infect hosts even after undergoing mutations – was highlighted in the May 2017 issue of the Journal of Virology.